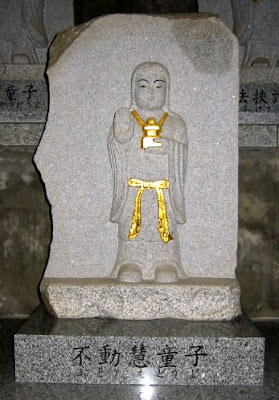 There are many graves along the approach road to this temple. 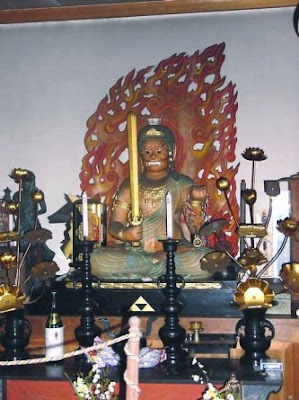 The main deity in the main hall is Kannon. There is also a hall with many windows for a triad of Amida Nyorai. It is represented as a sword and a serpant. 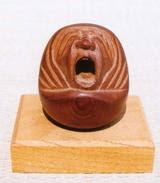 The serpant was the messenger of the mountain deity of Mount Konoita. 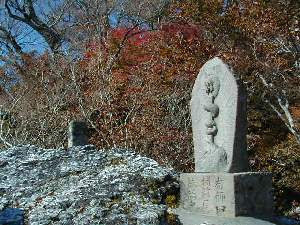 The whole mountain area is sacred, with a Fudo Hall at its foot. Performed twice a year, in spring and autumn, by the mountain ascetics of the area. People with a pure heart will not feel the heat at their soles. 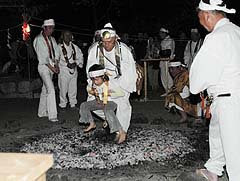 People who partake do not eat meat the day before and cleanse the body with other rituals too. 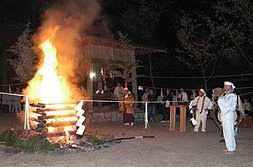 This festival relates to the legend of the last days of Emperor Antoku and the Battle of Yashima (see LINK below) and has been continued since the Heian period.